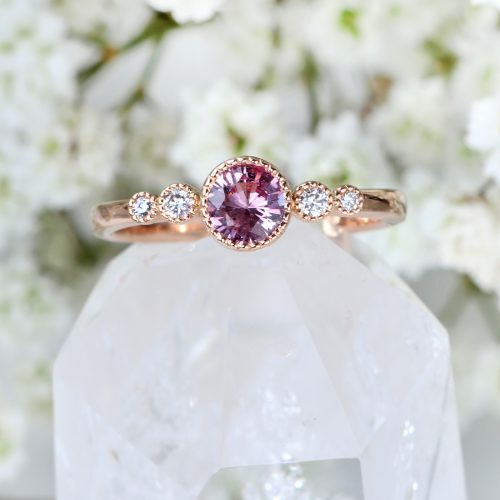 Pretty in Pink - A new ring design by Lilia Nash set with a luscious ethical pink sapphire, flanked by graduating fair trade Canadian diamonds. 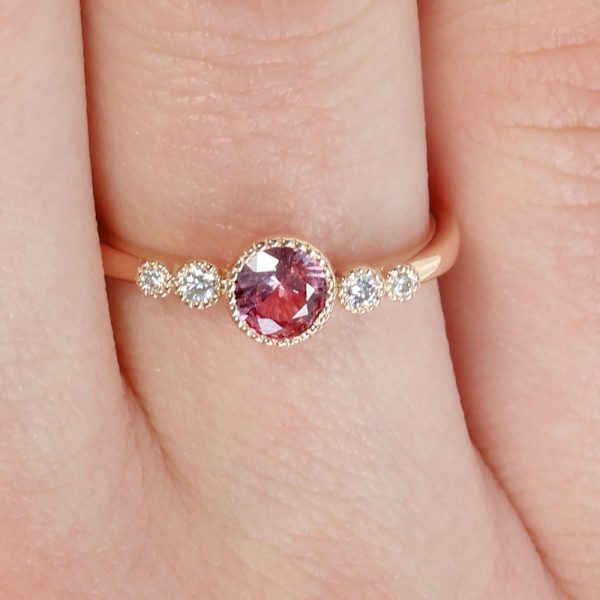 New for Spring 2019, the Lilia Nash Pink Sapphire & Diamond Graduating Ring is set with dazzling 4.9mm pink sapphire in a milgrain bezel setting. 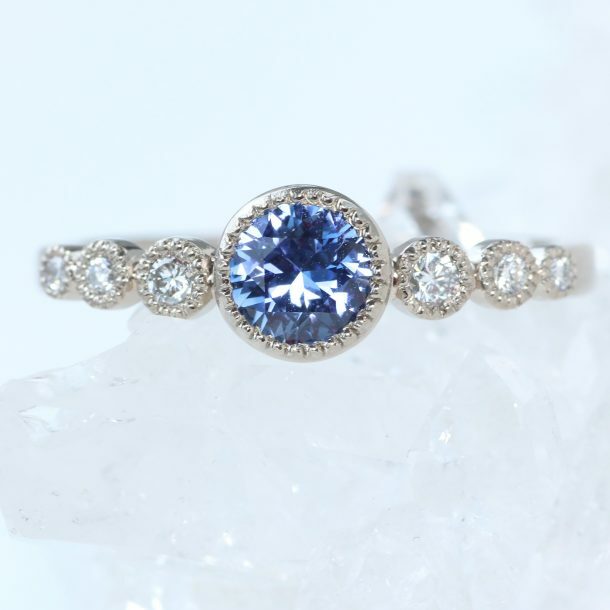 4 diamonds flank the central sapphire, with those closest measuring 2mm graduating to 1.3mm for the outermost settings. 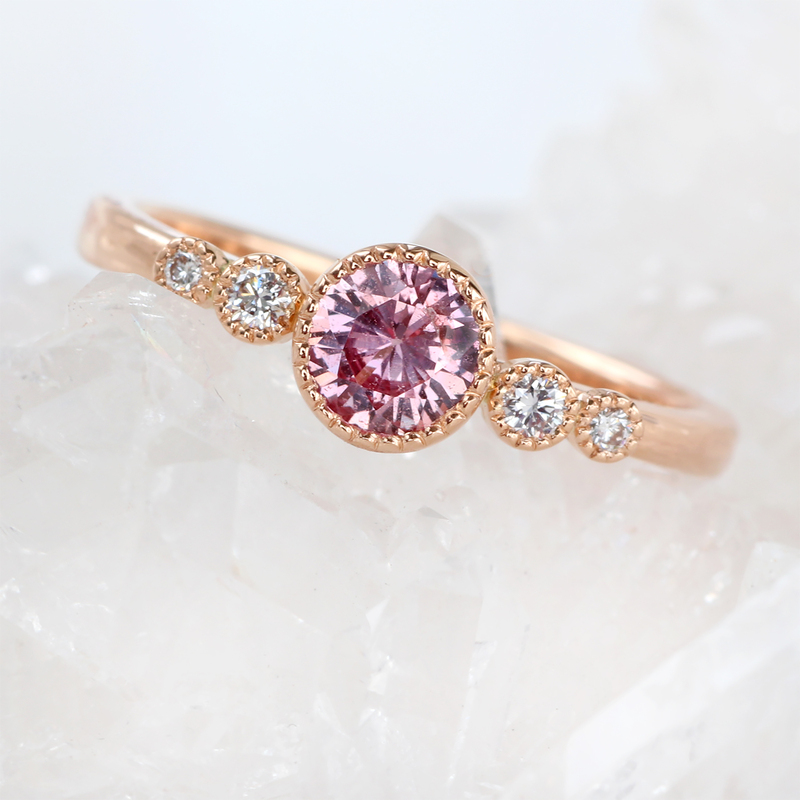 Pink sapphires are the perfect gemstone for women who love a soft, feminine look. 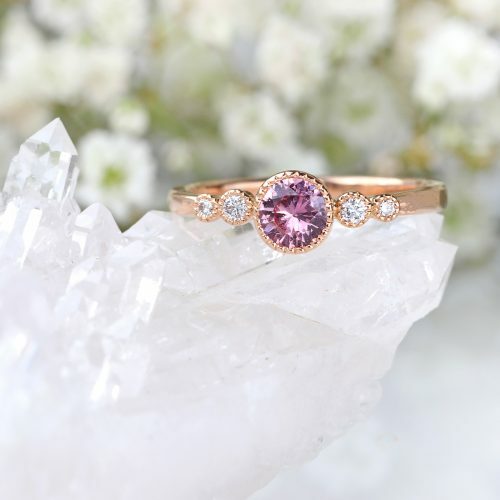 They've been popularised for engagement rings by celebrities and royals alike, making them a popular alternative to a statement diamond. This original ring design is made using ethical recycled 18ct rose gold, but you can choose to have your ring made in 18ct gold, 18ct palladium white gold or 950 platinum. 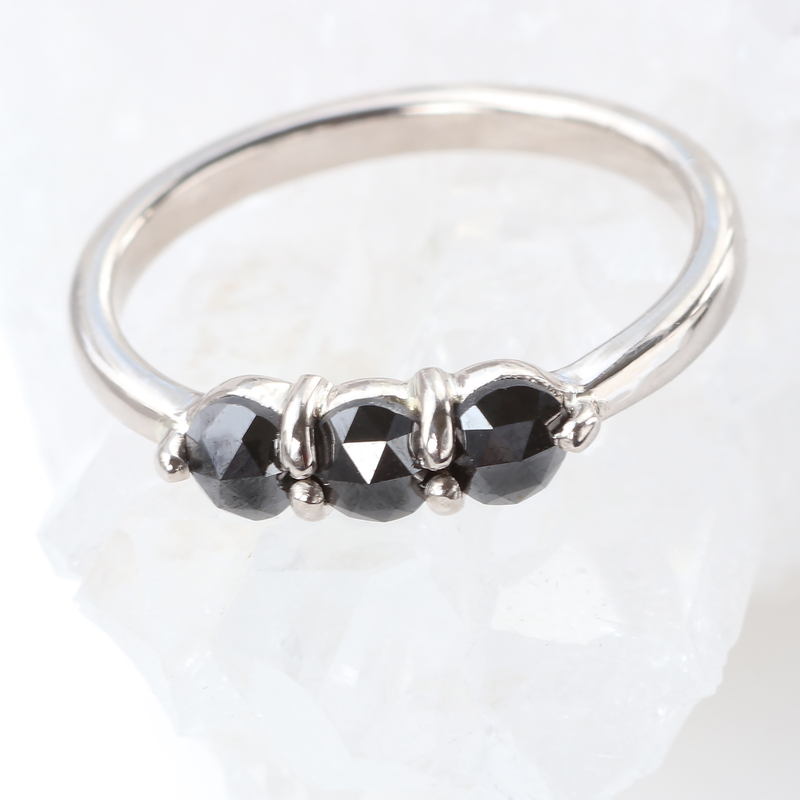 The first edition is available as a ready to wear design in UK/AUS ring size L (US 5 3/4). Customise the design with our online ring customizer. Choose the central gemstone, precious metal and finish. Order in any UK, US or EU ring size. 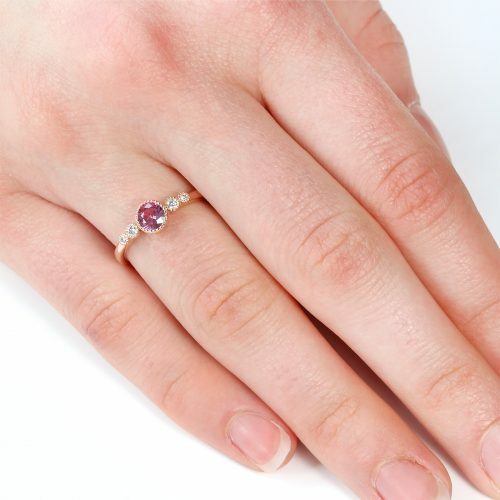 Prices start at just £1150, subject to gemstone availability. 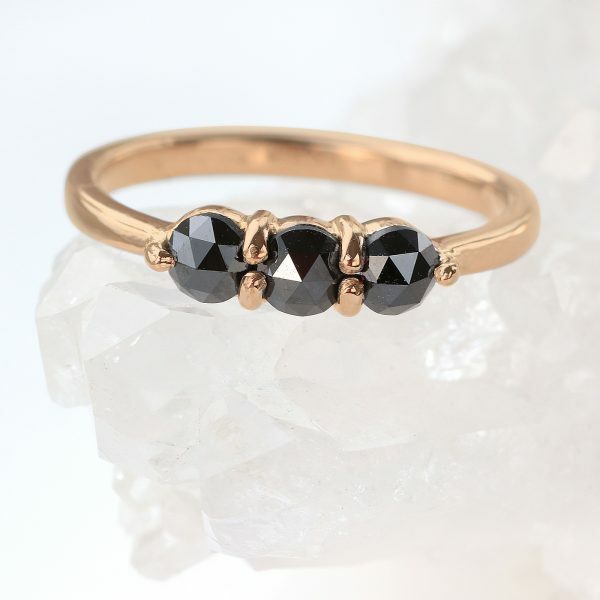 Lilia Nash rings are made from ethically sourced 18ct gold, Sterling silver or platinum. 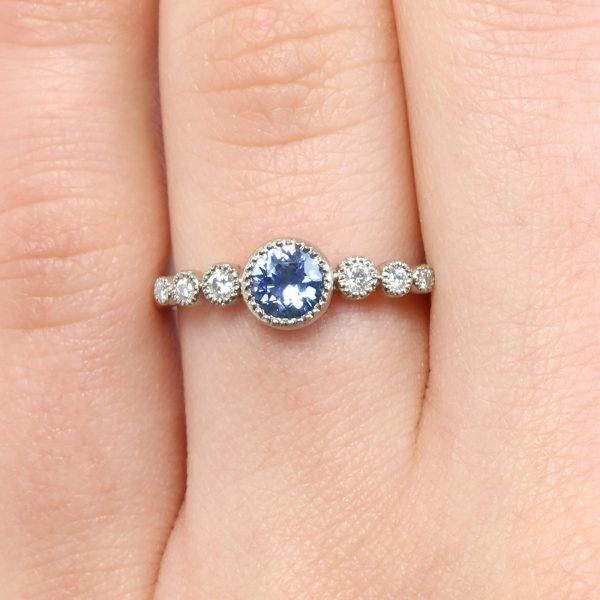 The diamonds, sapphires and other gemstones used to create her statement sparkle are sourced especially by Lilia from ethical and fair trade mines, or professional gemstone labs. 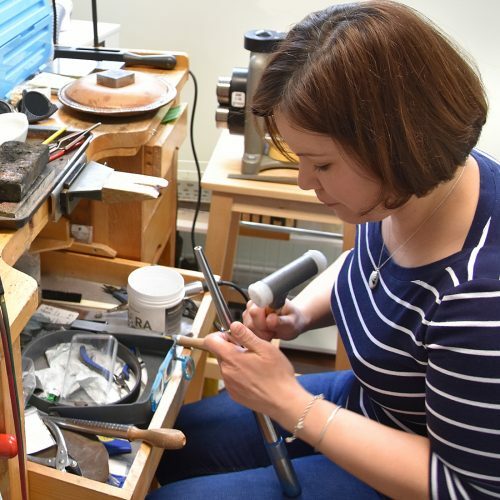 Shop the full range of Lilia Nash rings in our online shop, or contact us about her bespoke jewellery design service.